So excited was I that another childhood wish was being fulfilled, I was inspired to paint a little something in celebration! 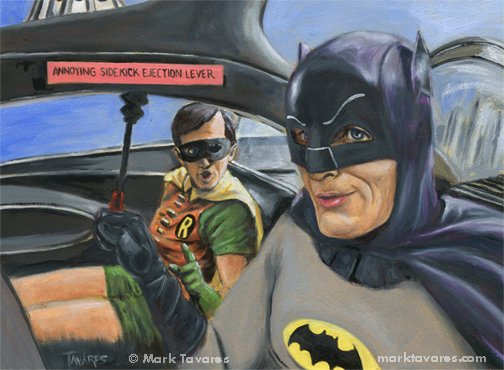 Here is “Batman and the Annoying Sidekick”! I had almost forgotten how much I used to enjoy drawing Adam West’s Caped Crusader when I was a younger lad. I think I just may have to do up some more. Stay Tuned! !